Know your numbers. Realize your potential. Crop Intelligence enables more informed agronomic decision-making. Crop Intelligence is an app that collects and interprets soil moisture to model Water Driven Yield Potential in dryland farming. 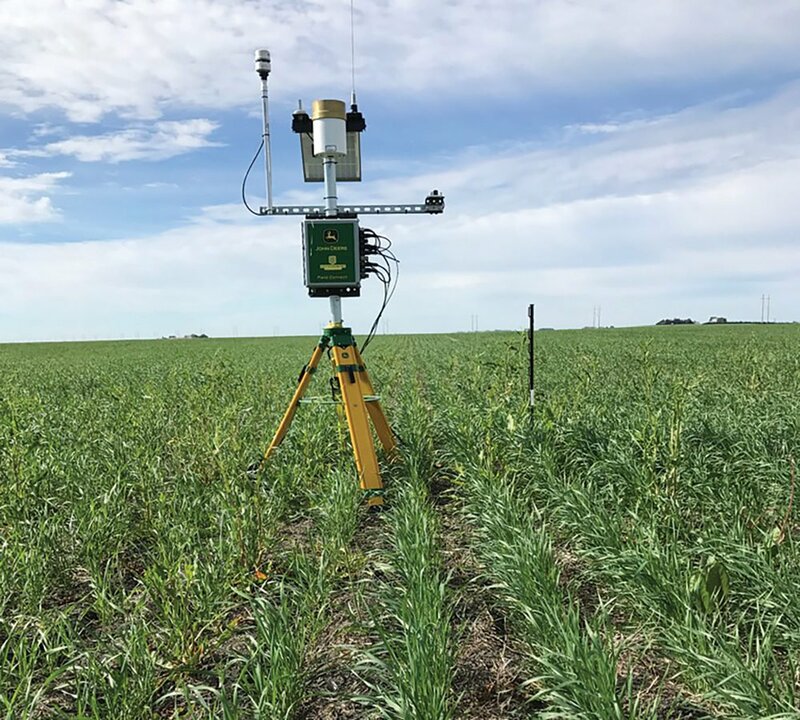 Weather Stations use environmental sensors to measures critical environmental data including, precipitation, soil moisture, leaf wetness, temperature, relative humidity, wind and growing degree days. But, how do we make sense of all this information? 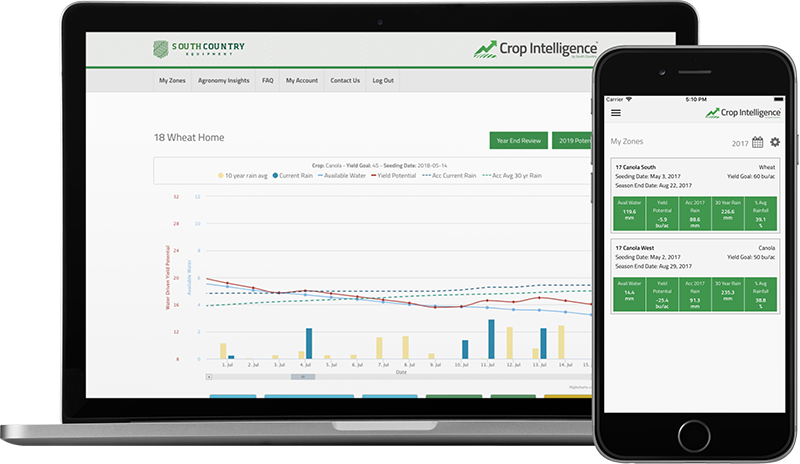 South Country Equipment designed Crop Intelligence to interpret this data to assist farmers in making agronomic decisions and optimize return on investment. Crop Intelligence App interprets weather station data by using crop available moisture, accumulative rainfall, expected precipitation to model yield potential throughout the growing season, allowing a farmer to make real time decisions on their farm with confidence. Crop Intelligence by South Country. New app and services gives producers a better handle on moisture..
Water in the bank is a certainty; rainfall is a probability. Much of what we do in farming is based on probabilities — a game of chance. 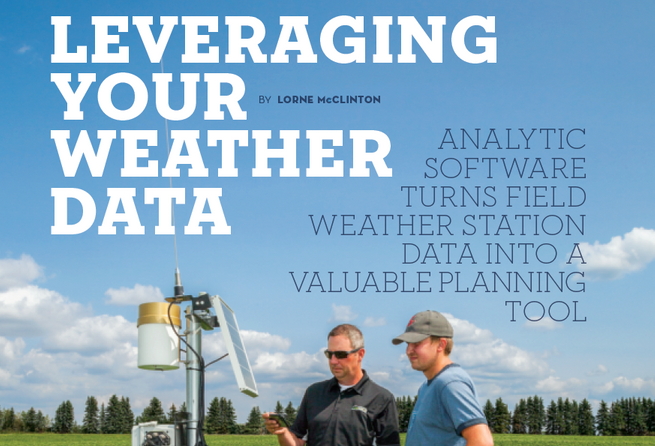 Farmers have been collecting rainfall data on their farms for decades. While it’s nice to know how much precipitation has fallen, most of it’s collected for the curiosity value. But in 2018, 394 farmers across Canada, United States, and Australia used a crop intelligence formula app, developed by Ryan Hutchison, Kendall Gee, and Elston Solberg at South Country Equipment (SCE) in Regina, Saskatchewan, to help crops meet their yield potential. These equipment vendors sell weather stations systems that are approved to run our Crop Intelligence App. A re-seller of Crop Intelligence, they’ll help you set-up, install and maintain your equipment! 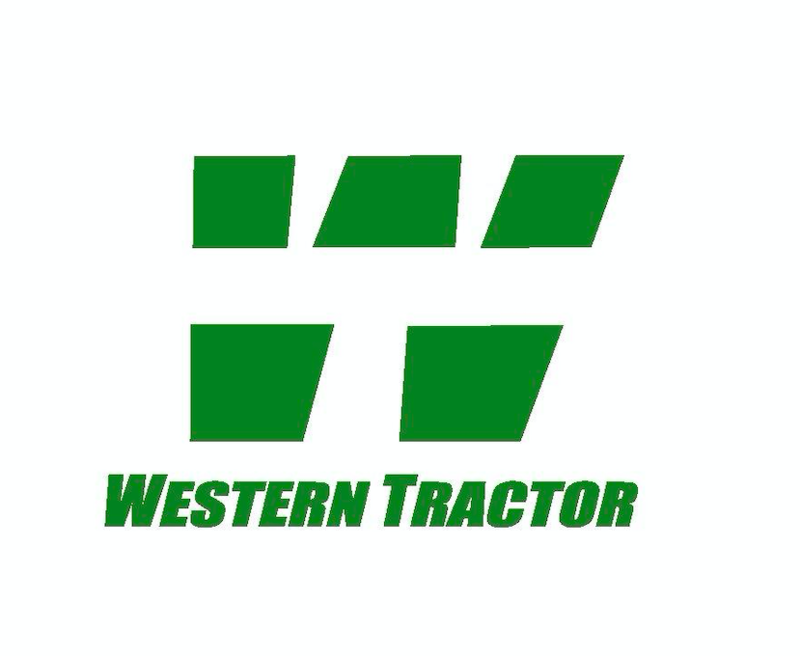 They will offer you agronomy support if they have an agronomist on staff, or work with an agronomy partner. Our Agronomy Partners are agronomists, independent or through an equipment vendor, who are here to assist you in using Crop Intelligence as a tool to make your best in-season agronomic decisions! They monitor Crop Intelligence zones and oversee agronomic variables throughout growing season.